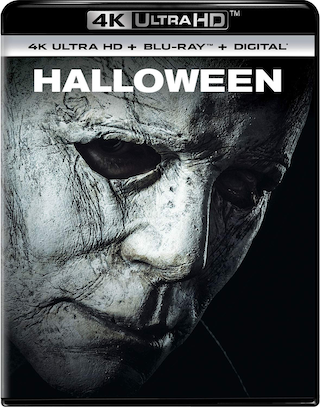 RUMOR: Retailer Best Buy is showing that the 2018 “Halloween” film is coming to both 4K UHD Blu-ray and Blu-ray Disc on January 15th, 2019 via Universal. No further details yet, nor confirmation. Both releases will come in the form of a “combo pack” with the 4K getting a Blu-ray included, the Blu-ray getting a DVD included, and each receiving a Digital Copy of the film. Stay tuned for any further updates on this release. As with all rumors, take this only with a “grain of salt” so-to-speak until the title is officially announced by the studio. Lastly, it’s worth noting that PRE-ORDER listings are also available over at Amazon for both the 4K UHD Blu-ray and Blu-ray Disc.